For Trivial Pursuit, the classic dinner-party trivia game with all the right questions, Geoffrey Parker provides the most elegant answer. Set on an inlaid calfskin board with luxuriously scalloped hand-inlaid plinth and embossed with silver or gold. 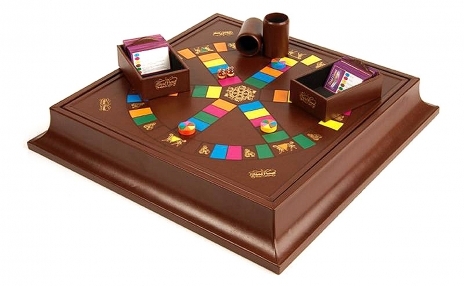 Felt-lined storage compartments cushion the playing pieces, while leather-bound, crush-proof, trip-protected dice cups cradle two ball-cornered precision dice. 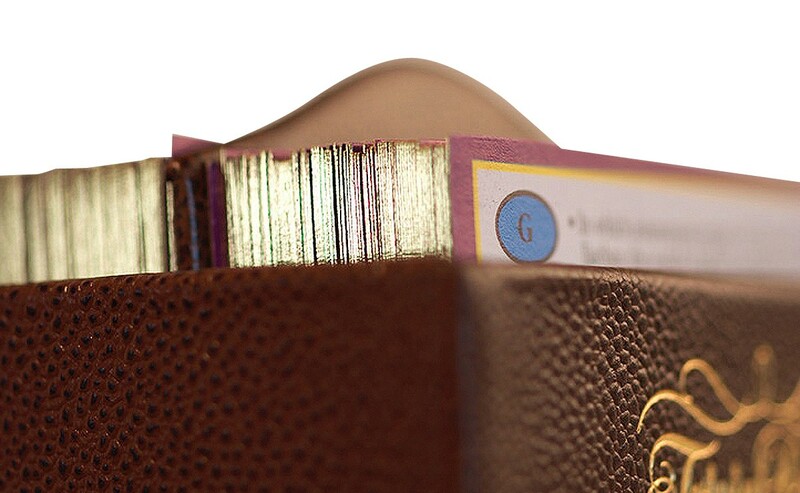 Contain all the game's mysteries within the pair of calfskin-bound Question Card Boxes, outfitted with leather separators. Keep your opponents in line with the leather rules envelope. 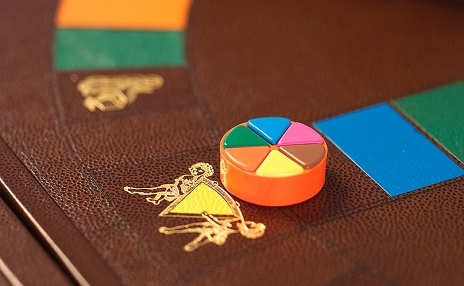 The standard acrylic "pies" and "segments," famously attributed to Trivial Pursuit, are also available inlaid with sterling silver for an extra elite touch. Pictured sample features acrylic pieces, gold embossing, and espresso leathers. Please note: At present Trivial Pursuit® is not available in the United States or Canada.